Kelsey Patterson recommend "Red Queen"
This is Kelsey Patterson with the Sioux City Public Library and you’re listening to Check It Out. During these dreary months of winter after the hustle and bustle of the holiday season has died down, I love to curl up on the couch and dive into stories that take me to other worlds. There’s just something about reading something fantastical book that makes the chill of winter just a little bit more bearable. 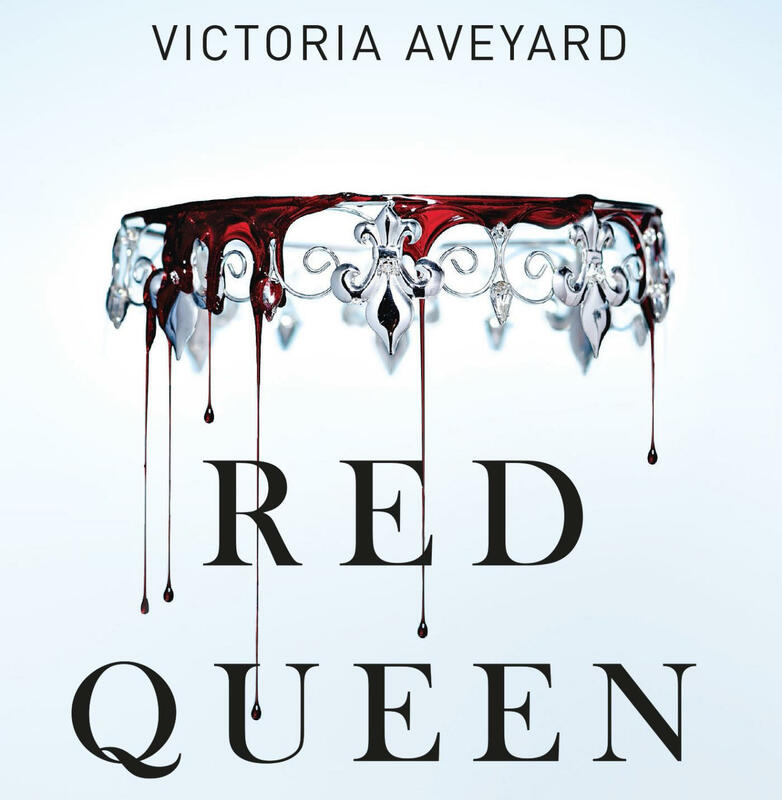 Today, I’m recommending Red Queen, the first book in the New York Times bestselling series of the same name by Victoria Aveyard. Mare Barrow’s world is divided by blood—those with red and those with silver. Mare and her family are lowly Reds, destined to serve the Silver elite whose superhuman abilities make them almost god-like. Mare steals what she can to help her family survive, but a twist of fate lands her with a job at the royal palace, where in front of the king and all his nobles, she discovers a powerful ability she didn’t know she had. Except…her blood is Red, not Silver. To hide this impossibility, the king forces her into playing the role of a long-lost Silver noble and betroths her to one of his own sons. But a Red rebellion is rising and Mare could be just the spark the Scarlet Guard needs to ignite their revolution. As Mare is drawn further and further into the Silver world, her actions put into motion a deadly and violent dance, pitting prince against prince and Mare against her own heart. One wrong move can lead to her death, but in the dangerous game she plays, the only certainty is betrayal. But what truly makes Red Queen and the rest of this series stand out from the pack are the action-packed storylines and the complex characters, who are forced to tackle troubling issues that we can all relate to. Check out Red Queen and the rest of this compelling series at the Sioux City Public Library. Want more? Subscribe to our podcast, The First Fifty Pages, a podcast about books, library culture, and current reading trends. Available on iTunes, Stitcher, and Google Play. Support for Check It Out comes from Avery Brothers. For reasons that likely have to do with desired ends, the Oregon Trail has a more wholesome reputation than its southern sidekick, the Santa Fe. The Oregon Trail once carried the hopes and dreams of whole families. The wagon trains leaving Missouri carried hundreds of thousands of little girls in sun bonnets and boys in bibs bobbing along beside the oxen, Mom holding the youngest up on the seat of the wagon. This is Barb Gross with the Sioux City Public Library and you're listening to Check It Out. Today I'm recommending Ordinary Grace, the 2014 Edgar Award-winning novel by Minnesota writer William Kent Krueger. Although Krueger is primarily known for his mystery writing, Ordinary Grace is a compelling blend of mystery and literary fiction. The prose is clean and soaring in passages and the story digs deep into themes of love and loss, redemption and grace. A middle-aged Frank Drum who serves as the book's narrator looks back on the Summer of 1961 in New Bremen, Minnesota. Today, I am recommending A Piece of the World, by Christina Baker Kline—a novel of historical fiction that imagines, through extensive research, the life of Anna Christina Olson—the subject of the painting Christina’s World by artist Andrew Wyeth. This mysterious painting—of a young woman in a field, looking off into the distance towards a stark wood-framed house—has been a part of the Museum of Modern Art’s collection since 1949, and has become one of the most recognized images of American Art.